With some great combination deals on trolley jacks and axle stands. It is valid to the end of June 2019 and showcases our excellent range of all things lifty and supporty. It also contains discounts up to 50% off list price and there’s FREE Sound Bars and LED Lanterns with selected products too. 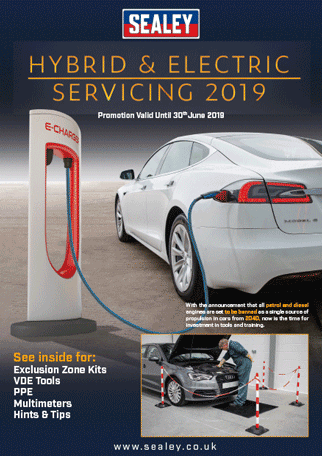 Keep up to speed with our dedicated range of specialist products devoted to Hybrid and Electric Servicing technology. It contains the all-important Exclusion Zone Kits, a selection of VDE Tools, PPE and Multimeters. There are some very useful hints and tips throughout the promotion and discounts up to 44% off list price. The NEW Sealey 2019/20 Catalogue is OUT NOW! LAUNCHED! The latest version of The Tool Catalogue is NEW for 2019/20. Our new larger size catalogue has 1204 pages (64 more than the last edition) with 9800 total lines. There are more than 1000 new products and it contains over 2000 consumables. 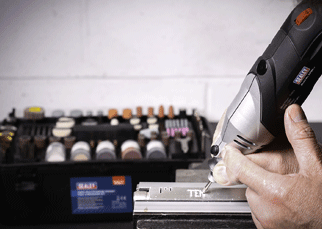 We work tirelessly to bring you the latest technologies, products and a range that will cover all your tool and workshop requirements. Trusted by professionals, all products are thoroughly tested by our experienced QC Engineers for quality, performance and compliance before they are included in the range. 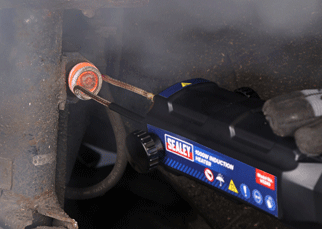 In addition, Sealey tools are supported by warranties, along with unrivalled aftersales service and technical support. This ensures that even the oldest and most loyal tools can continue to work alongside new and innovative models. 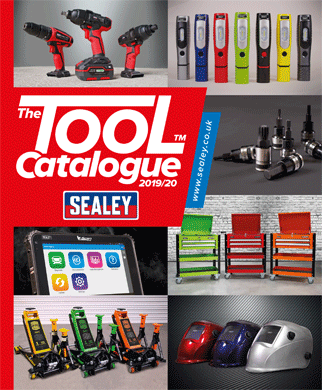 The Sealey Tool Catalogue 2019/20 is the only one you will need! The Sealey Spring Promotion has launched! 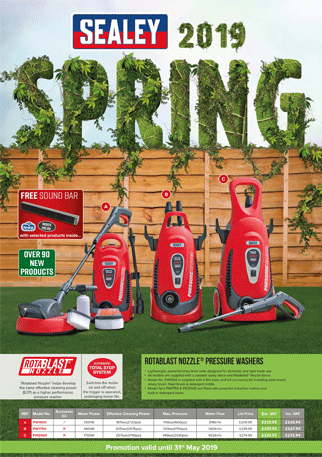 We launched our new 56 page Spring promotion on 1st March. It is packed with over 600 amazing deals on their tools & equipment and also contains discounts up to 59% off list price. The promotion includes over 90 new lines! There are 23 sections in total, including Hand Tools, Power & Lighting, Jacking & Lifting, Welding & Cutting, Motorcycle Tools, Janitorial, Vacs, Valeting & Pressure Washer sections. There are also Air & Vehicle Service Tools, Machine Shop, Parts Cleaning, Shot Blasting, Welding and loads more. 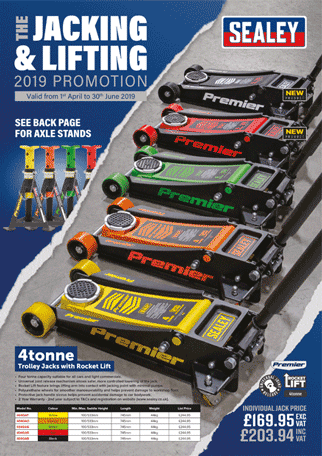 It’s valid to the end of May 2019 and look out for the logos as there’s FREE Sound Bars and LED Lanterns with selected products throughout the promotion. The tool was well made and the slight 'kick' to the design at the back made it comfortable to use. The top mounted rotary sped selector offers six options but, even at its highest speed, it remained smooth and quiet. See all our Sealey Awards at the link below. Auto Express Magazine - Product Award Winner! The Sealey LED180 offers the better mix of performance, versatility and price. Car Mechanics Magazine - Product Award Winner! 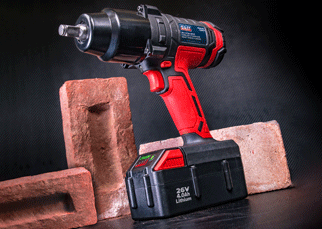 The new 20V Series has been designed to suit users from the DIY enthusiast to the professional. 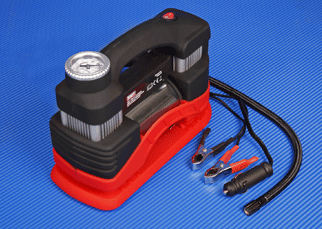 These body-only tools offer a one-battery-fits-all solution with a choice of 20V lithium batteries ranging from 2Ah to 4Ah, meaning costs can be kept down whilst quality remains high. Quality, stylish, lightweight tools with durable composite housing and a soft grip makes them comfortable and easy to use. Sealey’s new Lithium Jump Starter Power Packs are powered by lithium-ion technology and fully protected against reverse charging and overload. Easily fits in a glove box or backpack and benefit from being a compact, lightweight unit which provides high amperage output. The SL67S is capable of starting 12V vehicles up to an 8 cylinder engine and the SL69S is capable of starting 12V vehicles up to a 10 cylinder engine. Li-ion batteries have numerous advantages over lead acid, including a flat discharge curve. This ensures a greater and extended performance and holds the charge for up to 5 times longer with high energy density levels giving more battery power per gram. They both include an integral work light for use at night. The SL67S is fitted with a 10,000mAh battery, the SL69S is fitted with at 15,000Ah battery, and both models incorporate two USB outlets (5V/2.4A and QC 3.0). These units can also supply several full charges for smartphones and MP3 players or one full charge for your tablet/laptop. 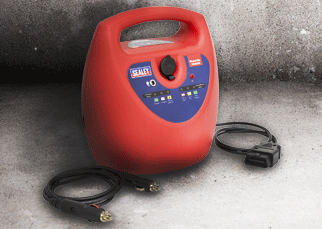 Sealey have increased their range of 12volt mini air compressors. The latest addition is the twin cylinder design MAC03 which delivers 45ltr/min and features a work light. Typical inflation time from 0 - 30psi is 95 seconds and is suitable for tyres on cars, vans and 4x4’s. The unit incorporates integral storage for the air output hose and conveniently features a work light for use in low light areas. The pressure gauge reads up to 6 bar/80 psi. This model is supplied with 3 metre power cord with a plug for use in the vehicle accessory socket, 650mm high pressure hose with screw-on connector and accessory kit including ball needle and adaptors for inflatables. 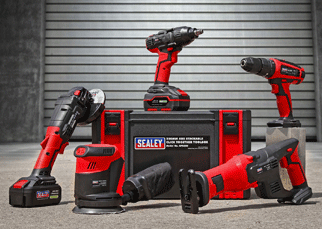 Sealey’s CP2612 and CP2634 are powerful, compact and suitable for removing the most stubborn wheel nuts in the workshop or on roadside with no compressor or mains source required. There are no trailing cables to cause hazards and are suitable for workshop, bodyshop and tyre shop applications. They features a variable speed switch for added control and produce torque of up to 680Nm(500lb.ft) and 816Nm(600lb.ft) respectively, and incorporate a forward and reverse control integrated into the housing for ease of use. Both powered by a 26V 4Ah Lithium battery which retains its charge over long periods of time, it’s always ready to use and is supplied with 90 minute mains charger. 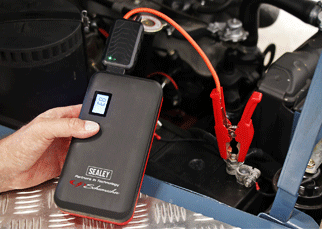 Sealey’s V-Scan multi-manufacturer diagnostic tool is a wireless Android based system which enables near OE-level diagnostics. 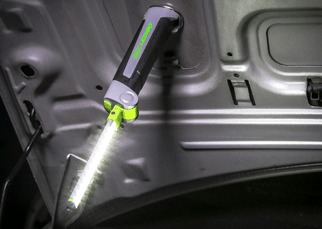 It is an extremely well priced mid-range tool, which allows you to use a mobile phone or tablet to diagnose cars, SUVs and vans. Connect to the vehicle using a standard 16pin EOBD connector and this model includes an extension cable for hard to access diagnostic sockets. Can be used in conjunction with a compatible Android device (2.3 and later). All the software is supplied, downloaded and stored on the mobile phone or tablet. This unit is supplied with one year of updates and doesn’t lockout when updates have expired. 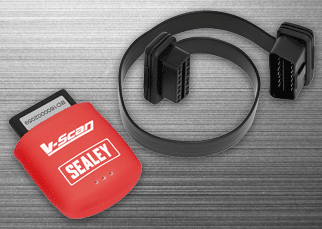 Another excellent addition to Sealey’s range is their new VS2076 - Diagnostic Socket Memory Safe which proves invaluable when preserving the memory of on-board electronics while the vehicle battery is disconnected. It saves valuable time spent re-programming lost codes and can be connected via the vehicle's EOBD or vehicle accessory power socket. The unit features an internal 12V 7Ah sealed battery and LEDs provide battery condition and charge indicator and is supplied with mains charger. 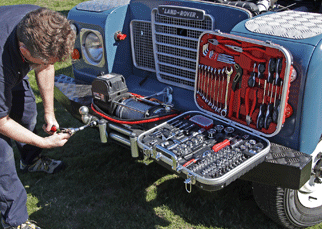 From socket sets to spanners, Sealey supply a broad selection of imperial and whitworth tools to cater for anyone working on older vehicles. The Sealey VS240 is a 1000W mobile induction heater for fast heat delivery. It is ideal for loosening stubborn and seized fixings. Just install the appropriate coil and place over or around ferrous metal. The unit is supplied with an induction pad for plastic trim and sticker removal and is supplied in carry case. 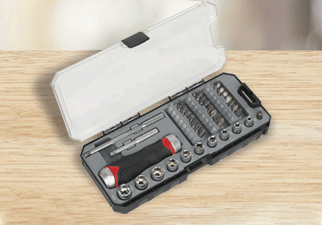 Sealey have added a further six socket sets to their popular multi-coloured range to complement their series of spanners. The fact that they are multi-coloured serves a purpose by making the different sizes easily identifiable. Sets are available in ¼", ⅜", and ½" square drive, standard and deep. 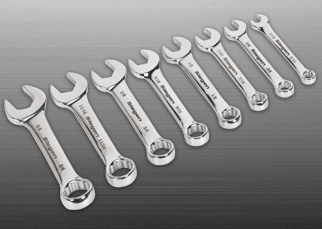 One of a comprehensive range of Premier Hand Tools, suitable for daily professional use which are made from Chrome Vanadium steel. 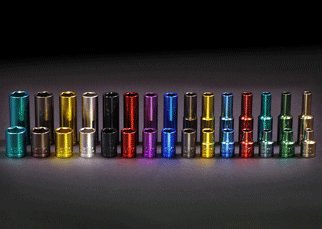 Hardened, tempered and chrome plated, these coloured micro satin finish sockets are an eye catching statement to any tool box and come with a lifetime warranty. All sockets include WallDrive® configuration giving an additional 30% more torque handling power than traditional sockets and are supplied on a composite socket retaining rail. The 13 piece ¼" sets are AK2872 & AK2872D, the 12 piece ⅜" sets are AK2873 & AK2873D and the 15 piece ½" sets are AK2874 & AK2874D. 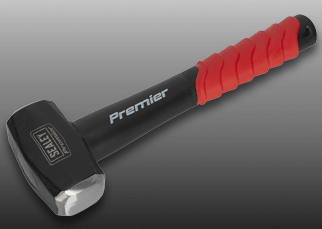 Two new Club Hammers have been added to Sealey’s Premier Hand Tool range that are designed for daily professional use. The CHF251 has a 2.5lb drop-forged carbon steel head, and the CHF401 has a 4lb head. They are fitted with a fibreglass shaft and feature a contoured shock absorbing rubber grip. 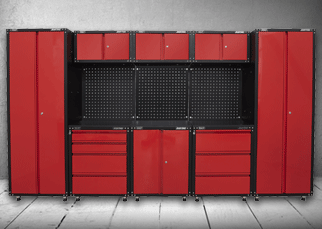 Supplied flat packed, Sealey’s red and black range of units provide a number of ways to create your perfect work area in a durable metal finish. The modular design enables easy upgrading and bespoke configurations. Standard features include ball bearing slides on the drawers and metal handles and pulls. Cabinets are supplied with a lock and two keys, adjustable shelves, worktop and integrated perforated peg boards in each door, which is ideal for tool storage. Back panels are supplied with four masonry fixings which allow the panel to be mounted to a wall.